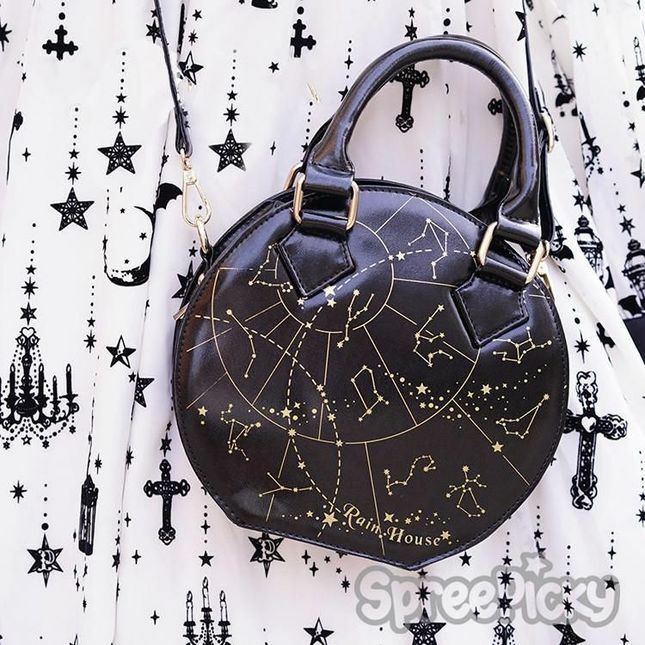 Taobao brand Rain House constellation bag. Black with gold stars and black star print lining. Features removable shoulder strap, handles, gold star zipper pull, gold 'feet' on the bottom of the bag, and two inside pockets, one with a zipper. Brand New! Once the package is out of my hands it is no longer my responsibility of it gets lost or damaged. I will always ship tracked and insured and won't mark down prices or list them as gifts (if shipping internationally). Also please note that I am a flight attendant and occasionally it might take new few days to get to a post office as I am away from home often. Thank you!